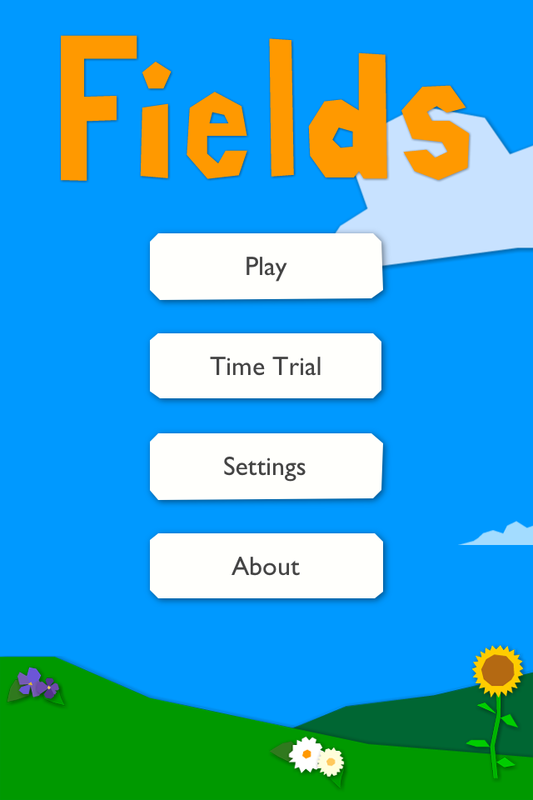 Fields is a logic puzzle game. Your challenge is to fill a grid with fields of flowers. Each field must have a specific size and thus there is only ONE solution to each puzzle. Exercise your brain. Plant some flowers. Have Fun. The first release in mid April includes 100 free boards. Assuming people don't hate on my game, I plan to launch many more boards in the near future. WARNING: This game is so addicting that you may never leave the toilet again! While the Fields name and artwork is associated with agriculture, this IS NOT one of those games that require you to plant crops and wait a painful amount of time to harvest them. The much anticipated iPad version of Fields will be released on July 20th 2013. Fields is a logic puzzle game that is based on the traditional pencil & paper game of fillomino. The game has a wide range of complexity from beginer 4x5 fields to very difficult 8x11 fields. Fields' large grids and touch interface is made for the iPad. The iPad version of the game will be a welcome update to the thousands of gamers that have already downloaded it to their iPhone. The new version will also include 100 new 6x8 puzzles available by in app purchase.